With spring comes new changes. And if you’re familiar with The RE Store, you know that change is a constant. Because when we see problems, we seek out solutions. In 2014, after discussing the manufacturing process with our partners, we learned of local manufacturers struggling to recycle their leftover material, or by-product. We reached out to our partners at Itek Energy to see if we could help. Itek had tons of slightly-imperfect solar panel glass that they were forced to dispose every month. We worked together to come up with a joint solution that resulted in glass being available at discounted prices to our community. Check out this blog post to learn more about solar panel glass and it’s uses. 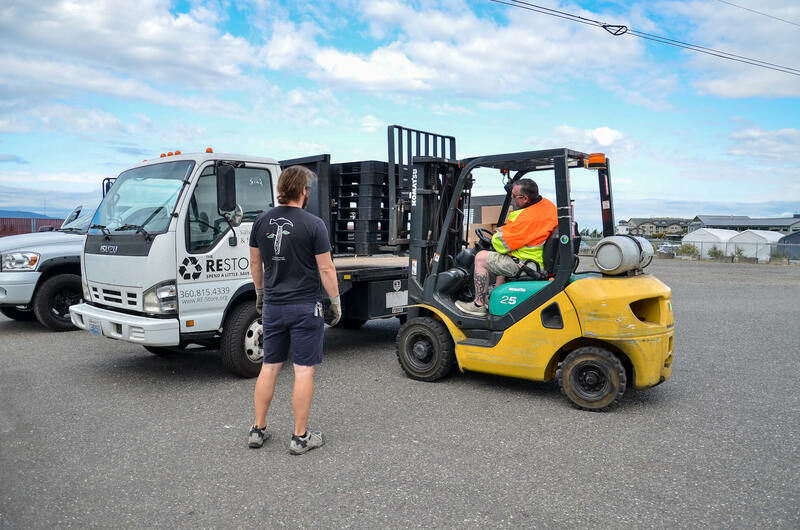 In the time since the first pallet arrived at our warehouse, Itek has seen a savings of $35,000 in labor and disposal costs, The RE Store has generated $98,000 for in-house displaced worker job training, and together, we’ve diverted 118,000 pounds of solar glass from the landfill. What’s more, in early 2018 we identified a handful of other items such as steel drums, pallets, cardboard boxes and more for future diversion. Today, Manufacturing Waste Diversion supports a growing number of local manufacturers in their efforts to reduce their environmental impact. After initial contact with manufacturers, Tim performs a waste audit to identify materials that are well suited for reuse. Materials are sold through The RE Store to community members at steeply discounted rates. Manufacturers are eligible for a tax receipt to further offset disposal and labor costs. Manufacturing Waste Diversion is supported in part through a $100,000 3-year grant awarded by the M.J. Murdock Charitable Trust of Vancouver, WA. The grant will enable The RE Store to support local manufacturers in sustainably managing their by-product. Since January, we have diverted over 87,500 lbs, representing $60,000 in value. Visit the Manufacturing Waste Diversion page to learn more.